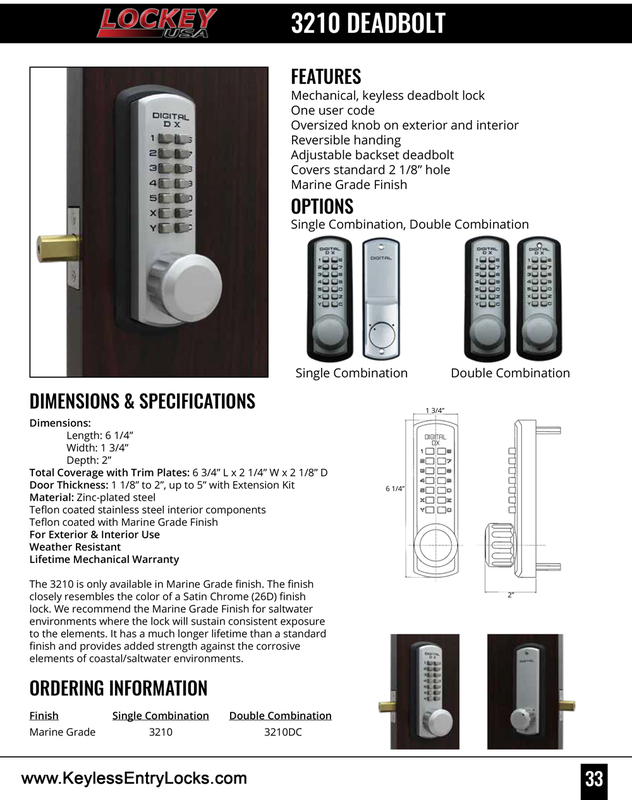 The Lockey 3210DC Marine-Grade Deadbolt Lock is a heavy-duty outdoor keypad deadbolt lock with a keypad on BOTH sides. 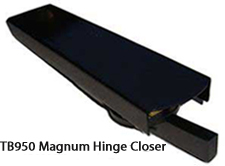 It has been specifically designed to perform well in saltwater environments. 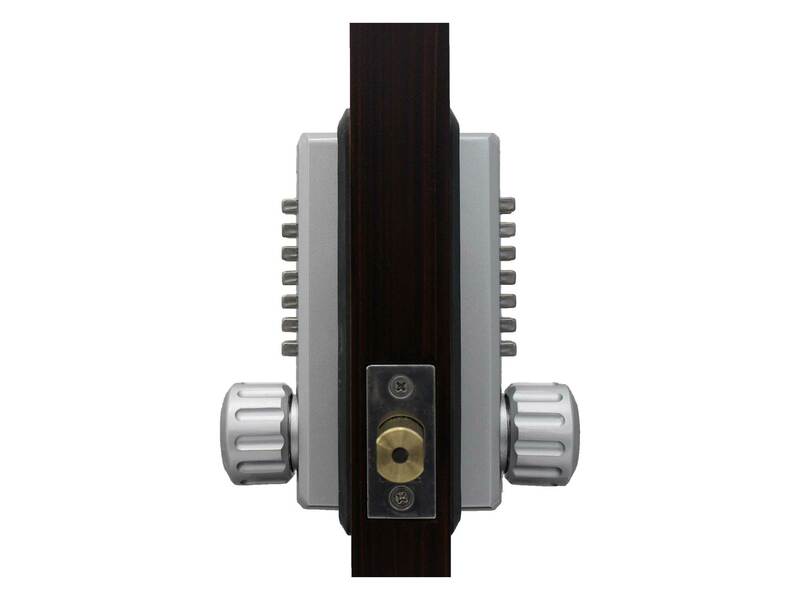 This keyless lock for homes is coated to resist saltwater corrosion and the effects of blowing wind and sand. 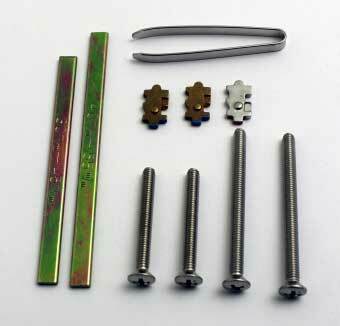 The special finish closely resembles the color of a Satin Chrome (26D) finish lock. 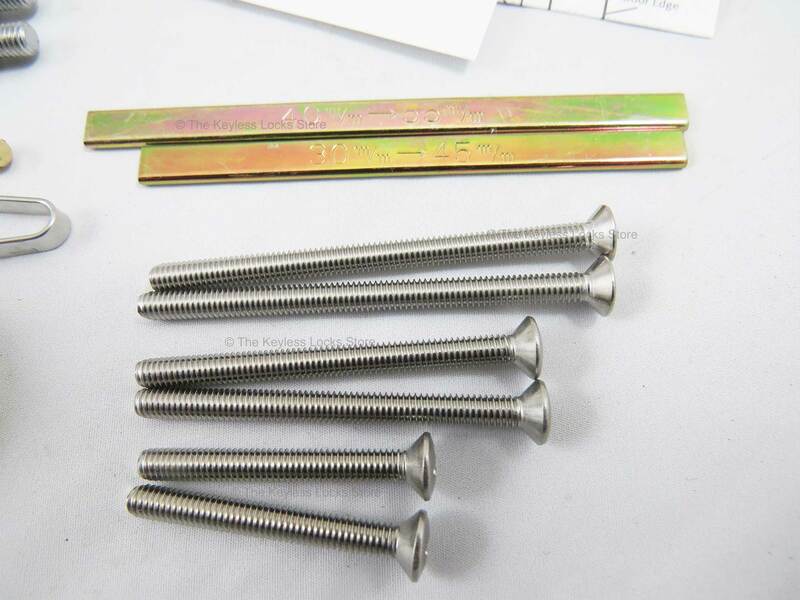 It has a much longer lifetime than a standard finish and provides added strength against the corrosive elements of coastal/saltwater environments. 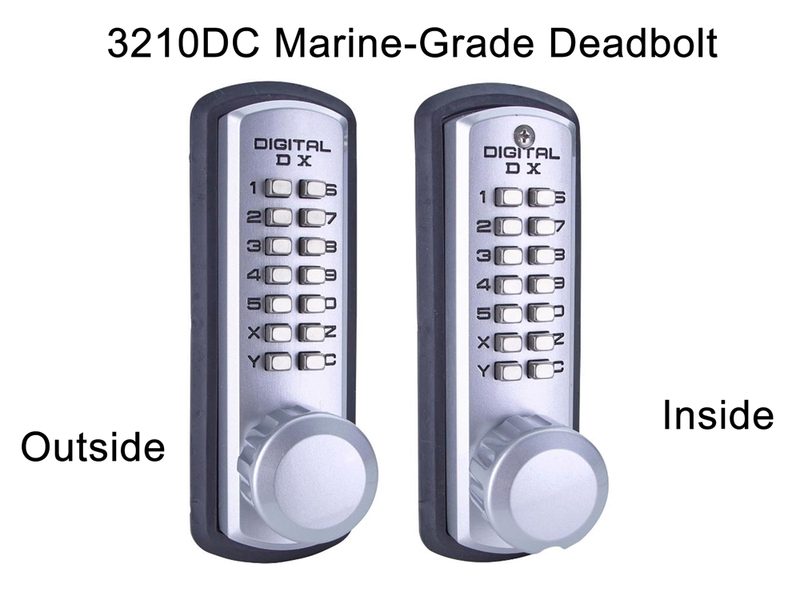 The 3210DC is a keyless deadbolt lock, so it does NOT latch or lock automatically when the door or gate is closed. Instead, you must manually turn the knob on the outside or inside to lock it. 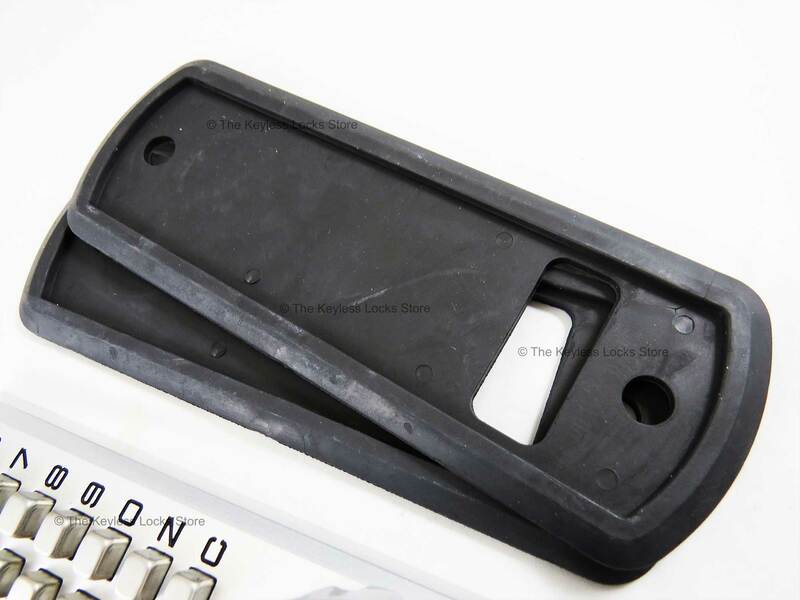 CODE LENGTH: from all to none of the numbers or letters on keypad except C and R.
DOOR THICKNESS: fits standard doors (1-1/8" to 2" thick); Thick Door Kit available (up to 5" thick). 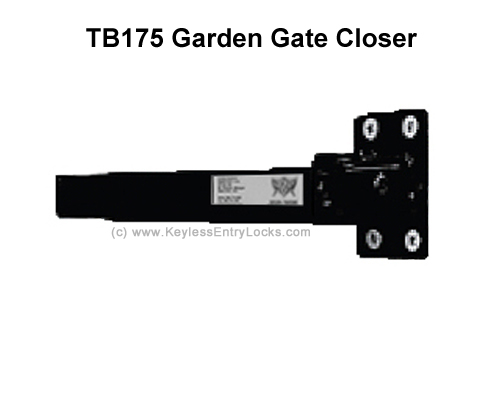 LOCKS FOR ...: (locks for commercial/business usage with advanced features, many users, high traffic, and heavy-duty components); (locks that are designed for exposure to ocean or road salt; (mechanical, non-electrical keyless locks without a key override); (weatherproof locks for gates with rectangular (not round) posts like on sheds, barns, and other structures, etc.). WAYS TO LOCK/UNLOCK: (unlocks by using a keypad on either the inside or the outside). 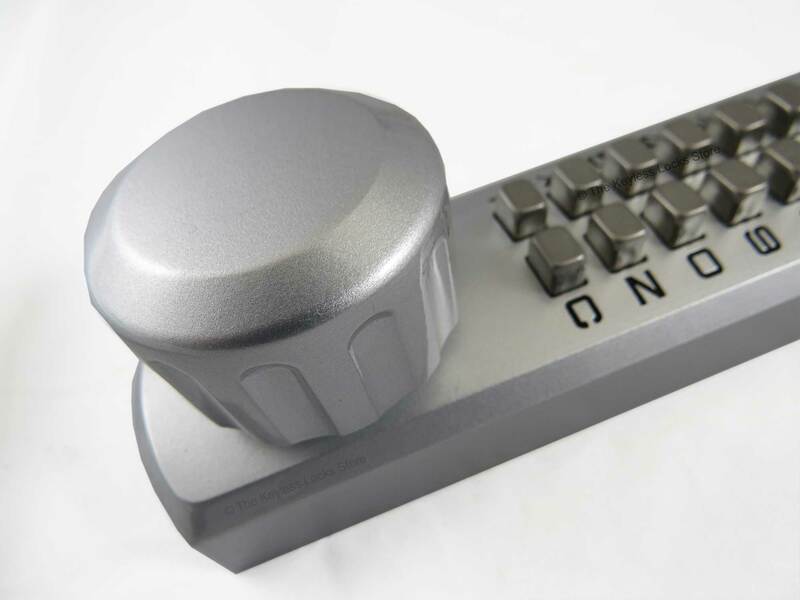 A heavy-duty,double-sided keypad/combination lock with a marine-grade satin chrome finish for protection against salt water corrosion. 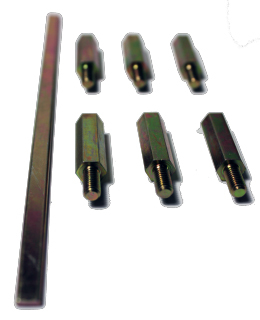 Optional Lockey Thick Door Kit (Extension Kit) goes up to 5"
Code can be changed as many times as you want. On the inside or outside, first press the "C" button or turn the thumb turn as far as it will go. This will clear out any previous keypad entries. 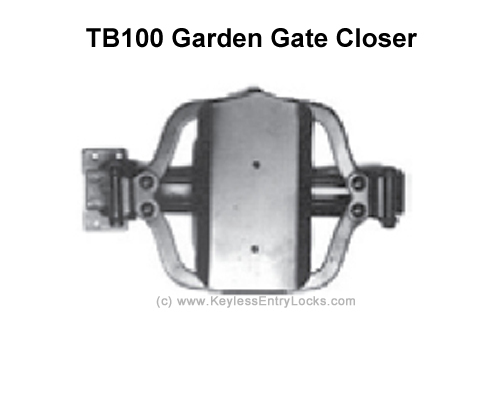 Just turn the knob, lever handle, or thumbturn to extend the deadbolt into the locked position. You don't need to enter the code. 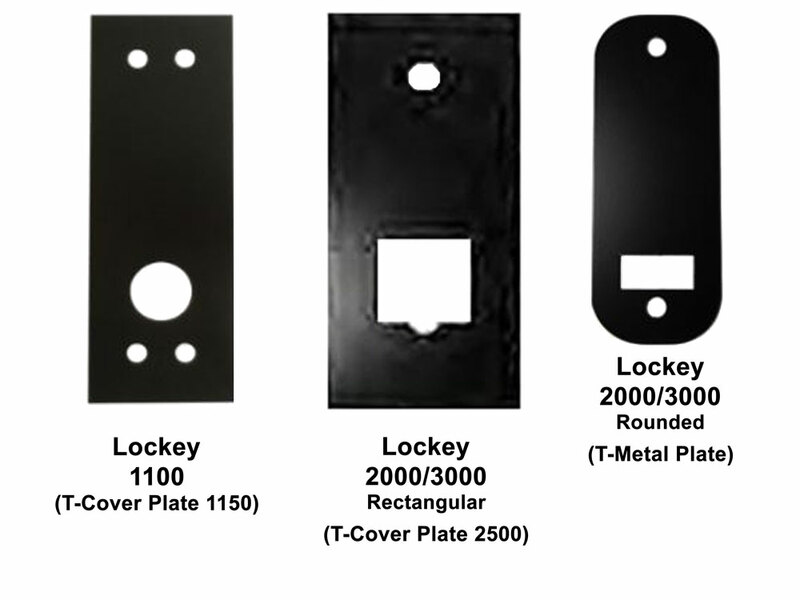 All Lockey keyless mechanical locks are shipped with a random secret code chosen by the factory during the manufacturing process. 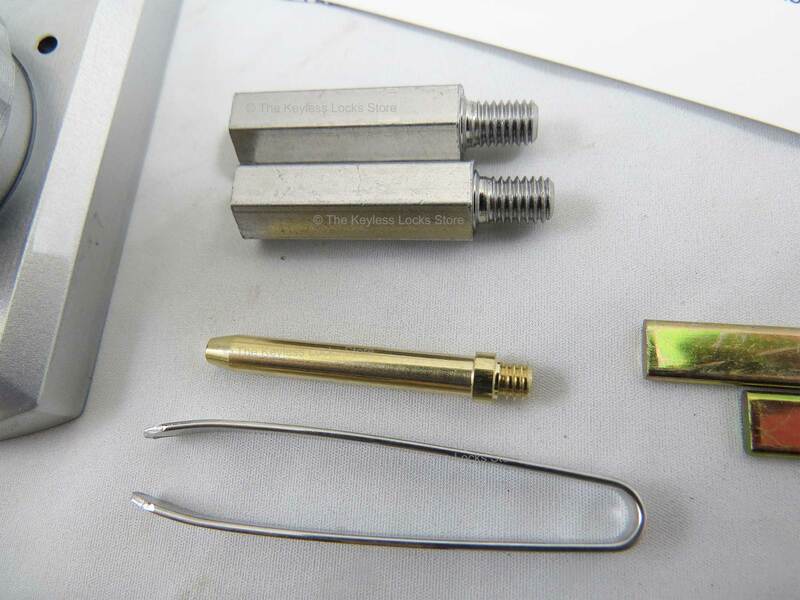 If you do not want your new lock set to a random factory code, no problem. 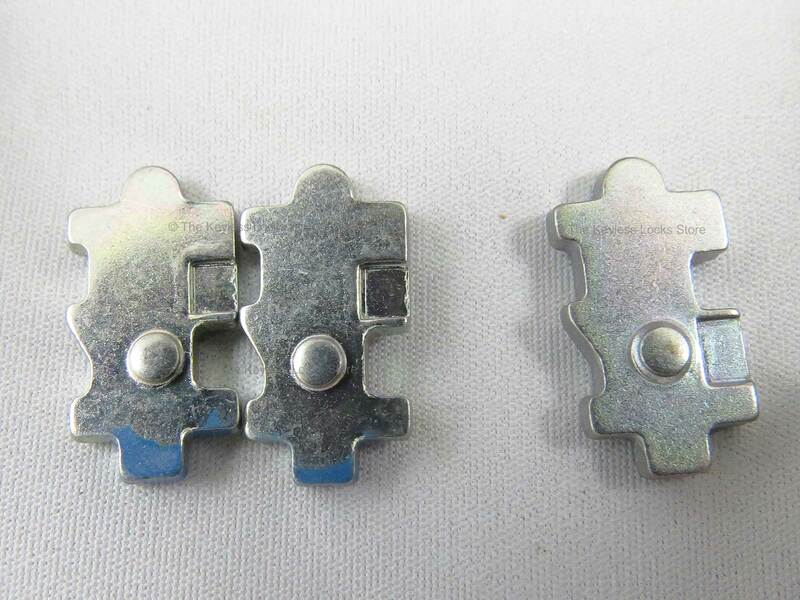 We can customize your initial secret code for you to whatever you like before your lock is shipped. Once you get it, of course, you can change the code at anytime. 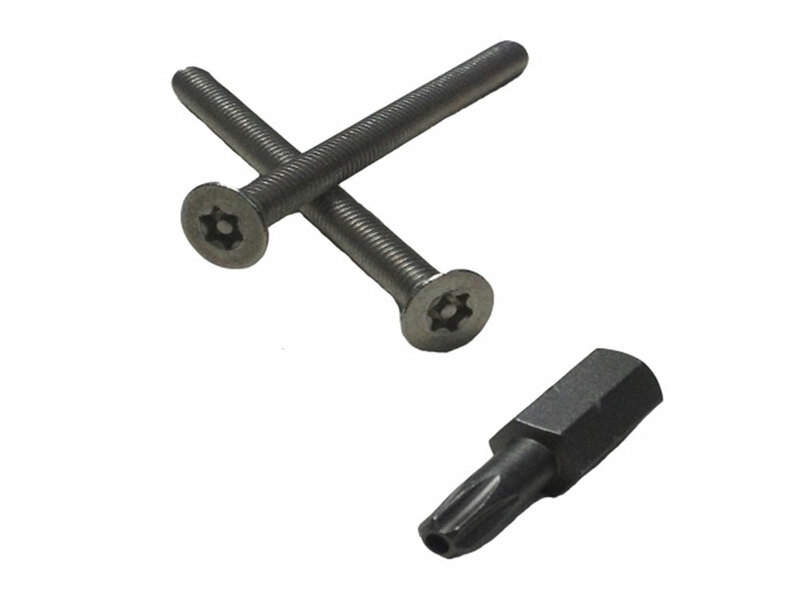 This is handy if you are having someone else install it for you when you are not there, as in a vacation home. 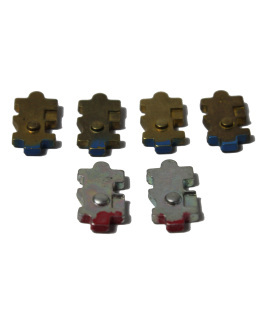 To have us set up your lock with a custom code, click here to add SVR02-Custom Lock Programming to your Cart. 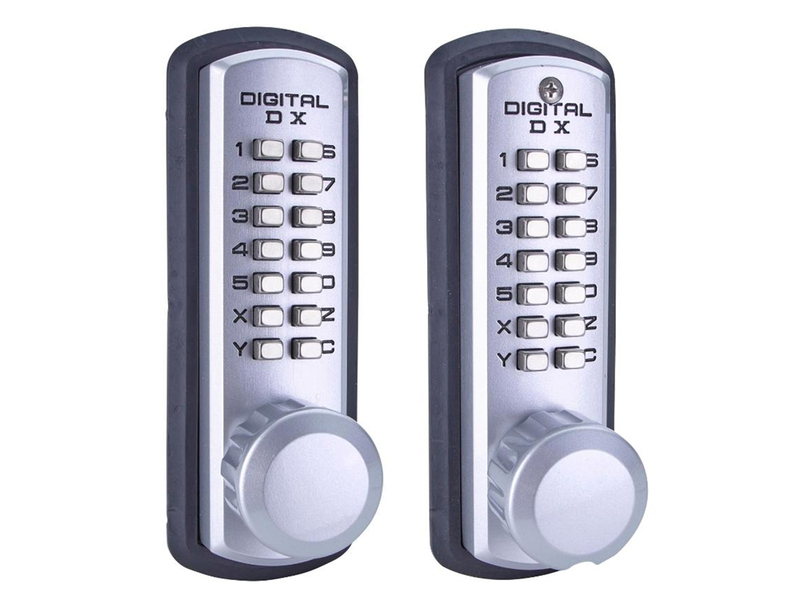 Your secret code can be any combination of letters or numbers that you can see on the keypad for doors except for the "C" key which is used to clear out any previous key presses. 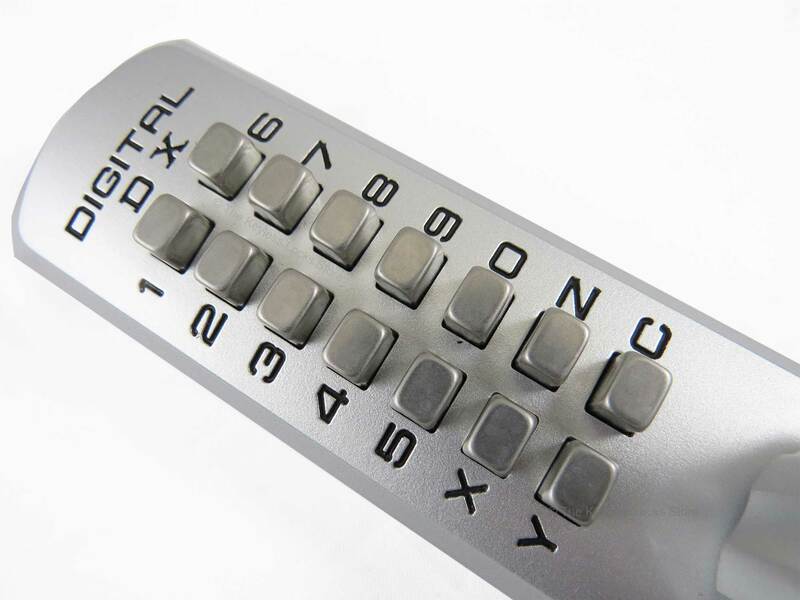 Keypads vary depending on the model of the lock, so look at the pictures of the lock you want when choosing a code.